ArtRocks: Oh, January, where have you gone? Oh, January, where have you gone? January has gone by quick, don't you think? I came across this perfect quote that made me chuckle, and then stop and say "Hey, wait a minute..."! After getting through a busy holiday season, we all could (and should) take a rest. But often we go right back into our busy routines come January. 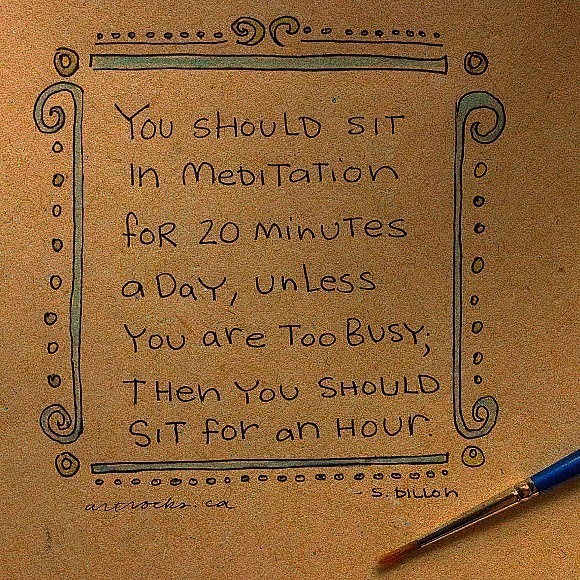 Be it a vacation or daily meditation, we need some time to be still and revitalize. So now that things have slowed down a bit, I am going to work some quiet time into every day. I'm trying for a slow February! Let's take some time to rejuvenate and feed our soul. Let there be space in our busyness. Let's quiet the mind and look at the sky.